Head of the State Assets Recovery Agency, Professor Clive Thomas. The State Assets Recovery Agency (SARA) is stacked with several known critics and opponents of the People’s Progressive Party (PPP), but a top official of that agency on Monday shrugged off suggestions that the agency will be regarded as politically tainted and biased. 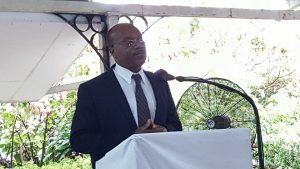 “I believe that I can have a preference for a political party, but I can be unbiased in a professional sense and I don’t think that’s too much to ask a Guyanese if even you are a member or a follower of a political party but you operate professionally,” SARA’s Deputy Director, Aubrey Heath-Retemeyer said when asked by Demerara Waves Online News. SARA’s staff members include well-known Working People’s Alliance (WPA) members, Professor Clive Thomas, Desmond Trotman, Tacuma Ogunseye, Heath- Retemeyer who is a supporter of the People’s National Congress Reform, and critic of the People’s Progressive Party (PPP), Eric Phillips. “I can testify for myself and the senior officers of SARA that we will all be professional,” he added. However, the SARA Deputy Director vowed that he would go after anyone regardless of his or her political affiliation. “I have no qualms with dealing with people that the evidence leads to …We are not going after people because of their political party allegiances. Deputy Director of the State Assets Recovery Agency, Aubrey Heath-Retemyer. We are going after them because the evidence leads in that direction that they stole or misappropriate government property and government assets and therefore we deal with them,” he said. Heath-Retemeyer assured that if there is evidence that leads SARA to any matter under the current administration that would be done. He noted that the PPP had raised concerns about several issues of alleged misappropriation or maladministration of government assets. At the same time, he indicated that matters concerning persons in the then PPP-led government have stemmed from the forensic audit reports. 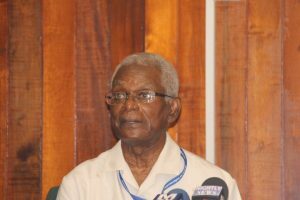 Those audit reports, he said, had been dispatched to the Special Organised Crime Unit of the Guyana Police Force ad then they were taken to the Police Legal Adviser and the Director of Public Prosecutions (DPP). “Then, when it was decided there was a possibility of recovering stuff, then is when they came back to us and we started acting on them. We just didn’t jump off and start investigating because people said this individual or that individual might have been culpable,” he said. Before SARA was established by law, it was a unit operating out of and funded by the Ministry of the Presidency. The PPP has accused the coalition-led administration of using agencies such as SOCU and SARA to launch a witch-hunt of its opponents. Currently, former board members of the Guyana Rice Development Board – Nigel Dharamlall and Dharamkumar Seeraj- who are PPP parliamentarians are before the court for alleged financial crimes. Earlier this month former Finance Minister, Dr. Ashni Singh and former Head of the National Industrial and Commercial Investments Limited, Winston Brassington were charged with the sale of three tracts of state lands for more than GY$900 million without due regard to valuation.